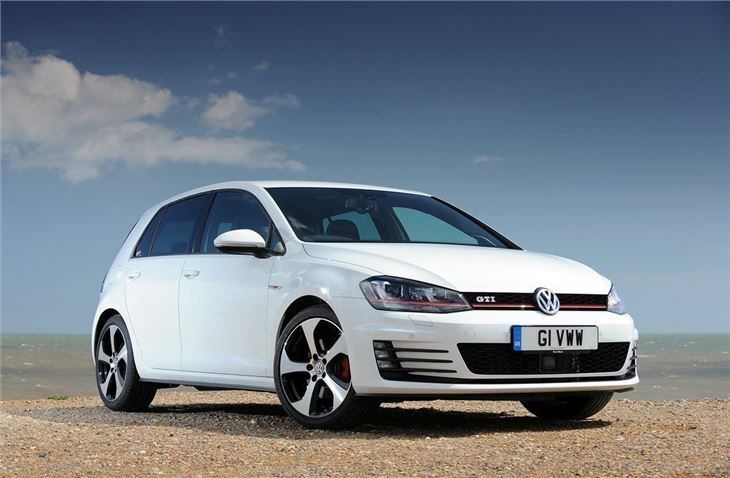 Comes in two power outputs of 220PS GTI and GTI Performance with 230PS. 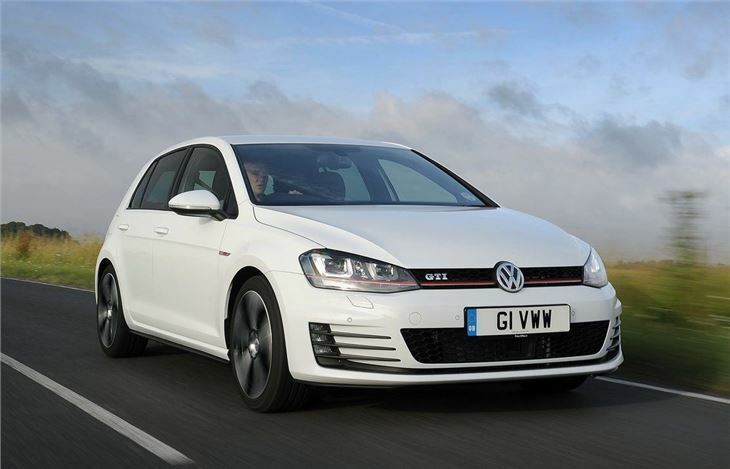 Has larger brake discs and a front limited-slip differential. 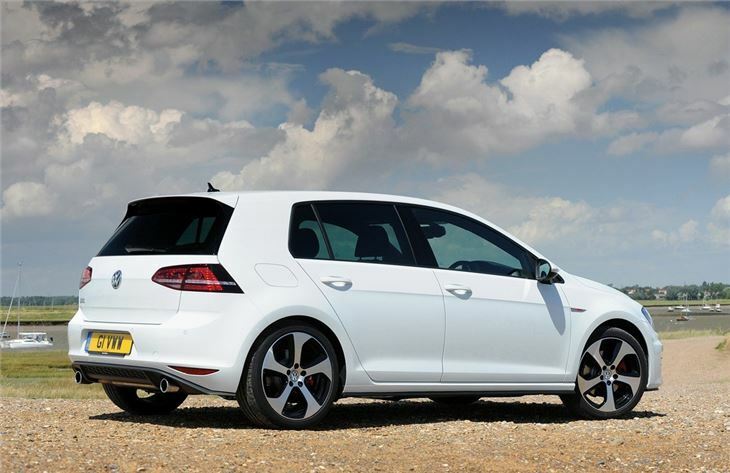 A great all round hot hatch. Other hot hatches like the Focus ST are cheaper. Sales suspended from September 2018 due to inability to meet WLTP NOx and CO2 targets. 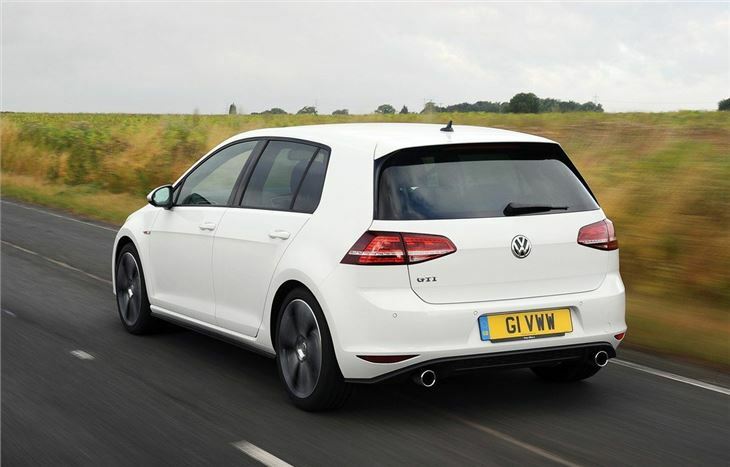 Of course it's a very different car from the original 1976 Golf GTI but it's great to see that the GTI survived the doldrums of the Mk4 from the late 90s when there were some frankly terrible versions, the worst of which used a 2.0-litre engine with just 115PS. Not what you'd call fast. Fortunately those days are long gone and the Golf GTI is once again a bona fide performance machine. It looks the part too. 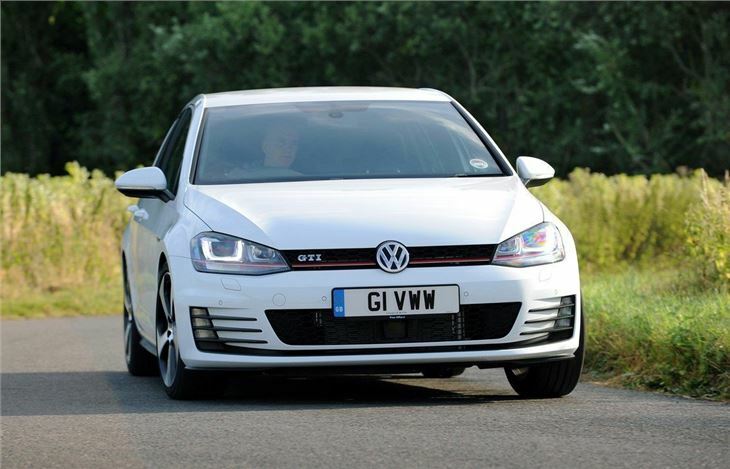 The sharp lines of the new Golf lend themselves perfectly to the GTI and it sits lower with those lovely gloss 18-inch alloys now a GTI trademark bit of design. 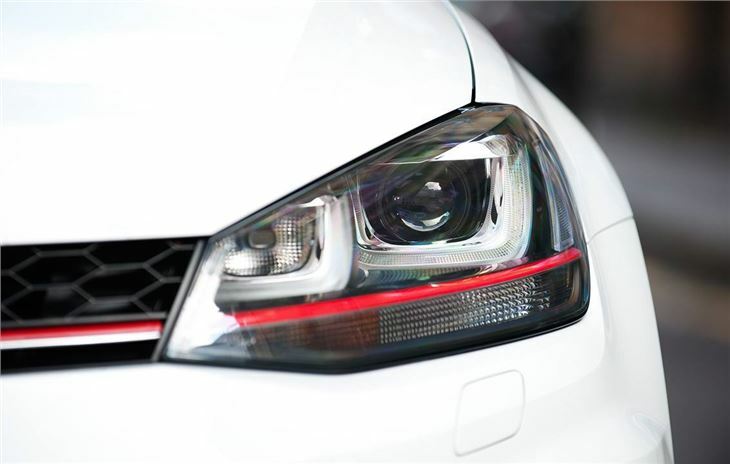 There are plenty of nods to the past with the red stripe across the grille that now continues across the headlights which are xenon as standard. At the back there's a tailgate spoiler and dual exhausts giving it a purposeful but understated look. It's the antithesis of the bloated and brash Astra VXR.